Please note: Cal Poly Report will be published one more time this academic year, on June 13. The newsletter will be published monthly during the summer, on July 11 and Aug. 15. A grand opening celebration was held June 1 to celebrate the completion of the first phase of the Oppenheimer Family Equine Center. The now-complete 60,000-square-foot covered riding area, foaling barn, stallion barn and hay barn at the northern end of campus was funded by the $20 million donation made to the College of Agriculture, Food and Environmental Sciences from longtime Cal Poly supporters Peter and Mary Beth Oppenheimer. “We are grateful to the Oppenheimers for supporting the vision of the College of Agriculture, Food and Environmental Sciences and investing in facilities and programs that will support generations of students to come,” Dean Andrew Thulin said. “It is partners like Peter and Mary Beth Oppenheimer who allow us to reach our full potential in providing the best for our students.” Students from across campus will benefit from the equine center, with programs including a foaling and breeding enterprise, a quarter horse enterprise, the Cal Poly Dressage Team, the Cal Poly Polo Team and the Cal Poly Equestrian Team. A second riding arena, an Animal Health Center and an Agriculture Event Center, all funded in some part by the Oppenheimers’ donation, are also in various stages of planning. Read more here. The seventh annual Mustang Mile event raised nearly $4,500 to support Aware Awake Alive, a national prevention program founded after the hazing and alcohol poisoning death of freshman Carson Starkey in 2008. The event, held May 17, drew nearly 400 competitors in a newly revamped obstacle course at Doerr Family Field. “This event was a tremendous outpouring of support for a worthy cause that celebrates and honors Carson’s life,” said Keith Humphrey, vice president for student affairs. “It showed that many members of our campus feel a strong connection to his story and our life-saving programs.” Scott and Julia Starkey created Aware Awake Alive in honor of their son and to raise awareness about the dangers of alcohol poisoning, hazing and binge drinking through a variety of educational campaigns and programs. The program provides peer-to-peer education and training to help young people build the skills and confidence they need to be proactive bystanders. Its programs and messaging have been widely adopted throughout the CSU system and at several high school and university campuses nationwide. In 2017, the Starkey family donated Aware Awake Alive to Cal Poly to broaden its mission and evolve into a university-based research center. 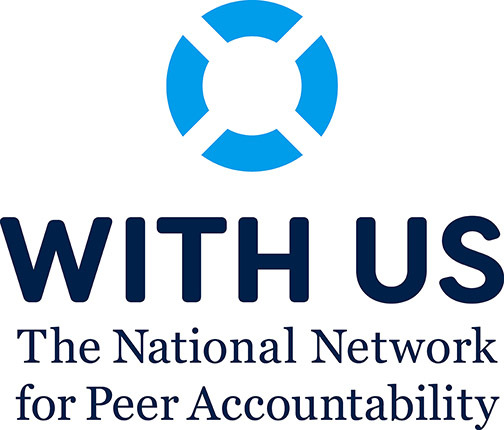 In turn, the university’s Student Affairs division in February 2018 launched With Us: The National Network for Peer Accountability, a multi-issue bystander intervention research center. Read more here. TRIO Upward Bound will host its second annual project-based learning (PBL) program for local high school students, beginning June 18. The six-week program is a part of Upward Bound’s Residential Summer Academy at Cal Poly, which aims to provide a college-like experience for local 10th- to 12th-grade students, including on-campus living, dining, classes and group projects. The PBL program serves as a component of the six-week experience and seeks to better connect students to the community by having them work with local organizations on a variety of projects. 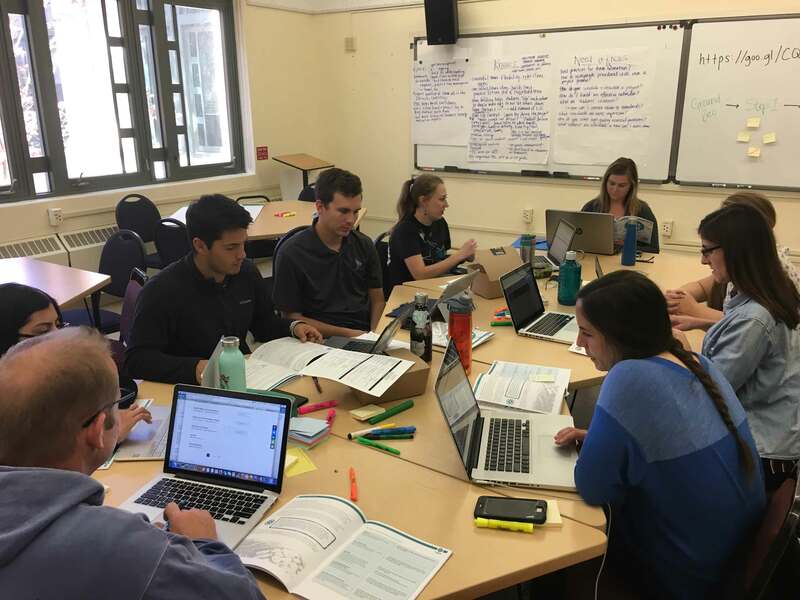 Students work in small groups to address each participating organization’s needs by developing a budget, a written proposal, an elevator pitch and a finalized prototype or solution, which will be presented at the conclusion of academy. This year’s participating organizations include One Cool Earth, the Morro Bay National Estuary Program, Cal Poly Center for Engineering, Science and Mathematics Education (CESAME), and Jack’s Helping Hand. 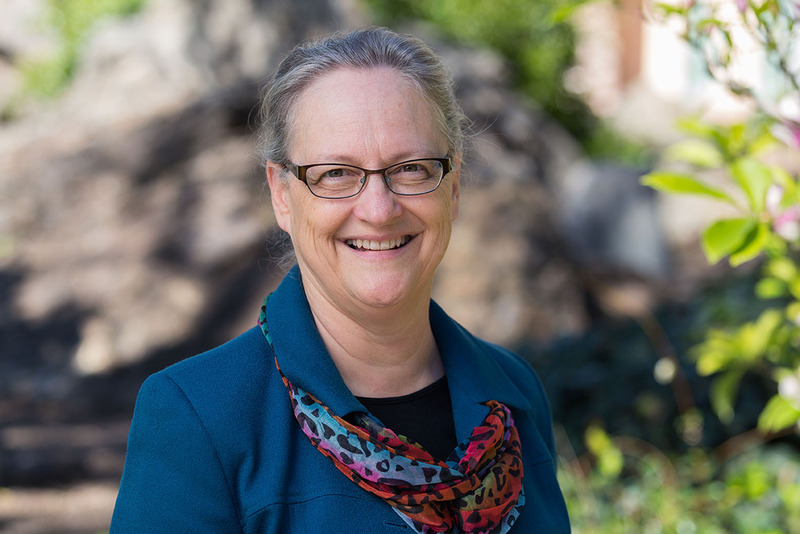 “Students are given real-life problems and, through guided discovery, create real-life solutions,” said Upward Bound Director Susie Sandstrom. “Just like Cal Poly’s Learn by Doing philosophy, project-based learning offers a powerful combination of academic expertise and hands-on experience for students.” Reach more here. A team of civil engineering students placed second in the National Student Steel Bridge Competition at the University of Illinois — marking the eighth consecutive year Cal Poly has placed in the top 10. After taking first in the regional competition in April, the Cal Poly team competed against 41 other schools from around the world in the nationals hosted by the University of Illinois Urbana-Champaign on May 25-26. The national contest, testing teamwork and project management, challenges students to produce a scale-model bridge that satisfies requirements in several categories, including construction speed, lightness, display, stiffness, economy and efficiency. 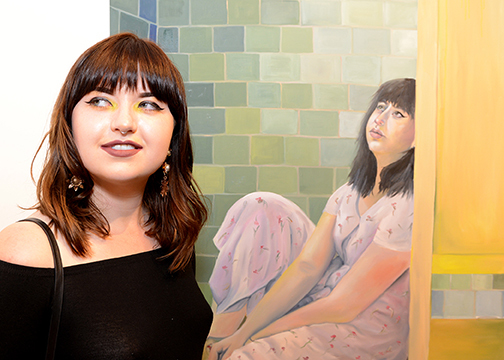 The Cal Poly team also placed in the top six in each of those individual categories. The team began working in August to plan, design, fabricate and construct a 1:10 scale model steel bridge, said project manager Michael Clark. In winter quarter, initial welding began, and in spring, the team practiced construction three times a week for a total of 200 repetitions. 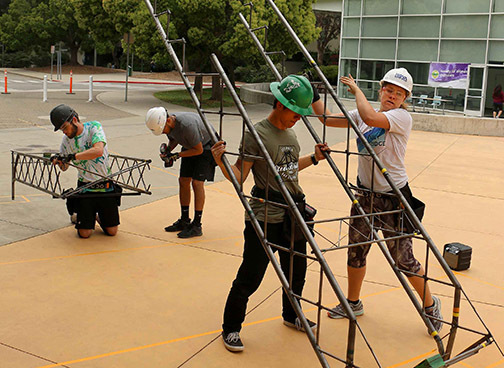 The Cal Poly Steel Bridge team consists of undergraduate civil engineering students. This year, the competition was a senior project for the six senior captains. 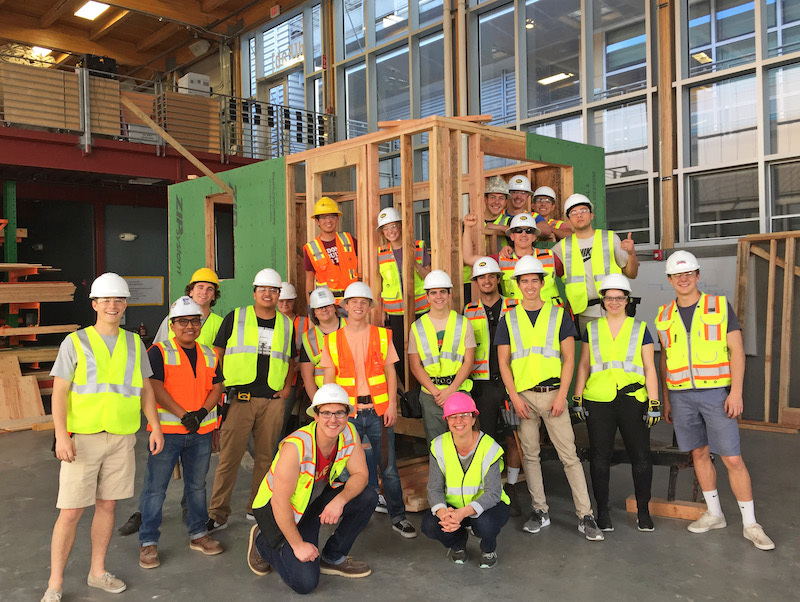 While four builders actually constructed at the nationals, the Cal Poly team took 16 members so they could study the competition. The builders, all seniors, were: Jonathan Espinoza, Allen Lactaoen, Luke Nazaroff and Sarah Shaffer. Read more here. Construction management students recently put their skills to work constructing miniature cabins on wheels for a local nonprofit organization. In past years, students have built what has lovingly been deemed the “tiny house” as part of a 10-week course, which culminates in an auction of the homes through Cal Poly’s surplus department. During winter quarter, they did something different: The students partnered with Hope’s Village to donate two structures to the homeless. Construction management faculty members Stacy Kolegraff and Eric Brinkman led their CM 214: Residential Construction classes in building the miniature structures. The students built the waterproof structural shell of two cabins, while additional volunteers will complete the interiors. Hope’s Village provided trailers, on which the students built the two structural shells over two weeks. The structures were built out of standard lumber, with fasteners donated by Simpson Strong-Tie, and exterior sheathing donated by Huber Woods. Students learned about framing, roofing and waterproofing. The students had to design and build around special features including framing around wheel wells and working with different-sized trailers. Construction management student Jimmy Fewell is continuing to work with Hope’s Village as part of his senior project. He is working to finish the siding for the two tiny houses so they’re watertight and weatherproof. 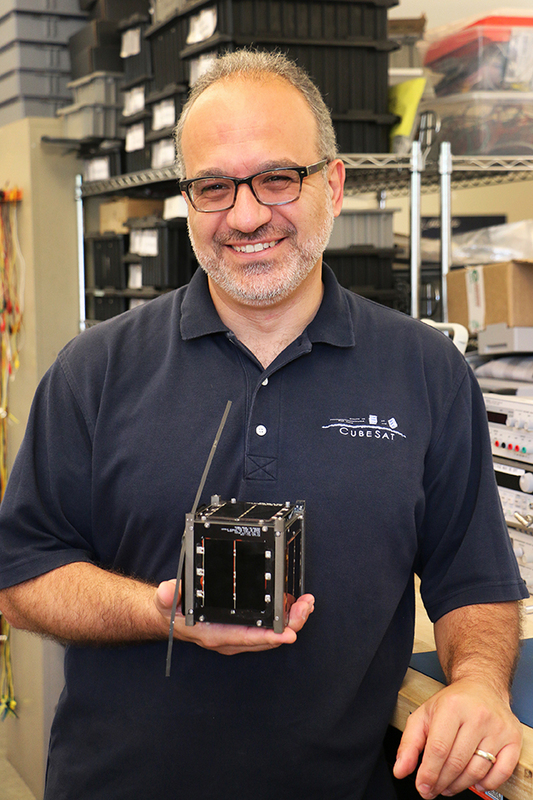 “It’s an honor to be able to use what I have learned in the last four years to help such a cause,” he said. Read more here. — 3:45 to 4:30 p.m. in UU 219 (faculty and staff only). — 5:30 to 7 p.m. in the Baker Center for Science and Mathematics (No. 180), Room 102 (open to all members of the campus community). Capacity may be limited. 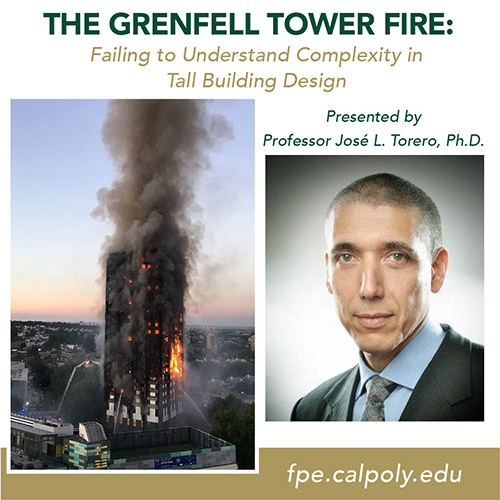 If you are not able to attend, you may email your comments to be shared with Guardia to greeklife@calpoly.edu. 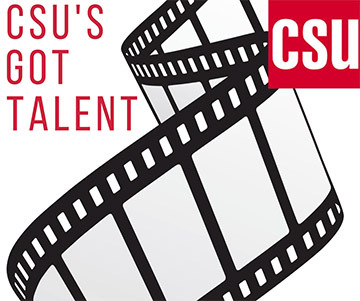 CSU Systemwide Professional Development continues its CSU's Got Talent series — live webcasts highlighting the most sought-after presentations on CSU campuses. 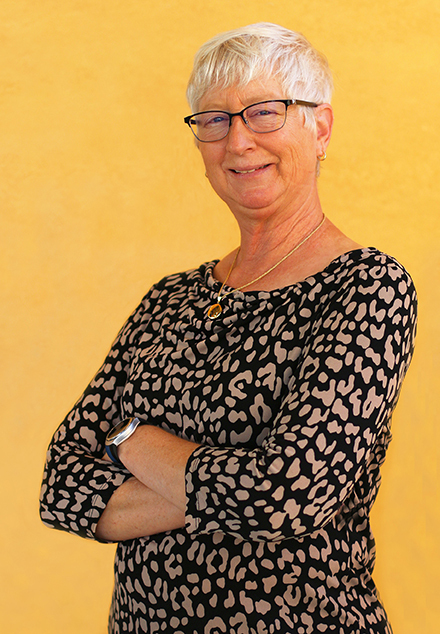 This month’s author, Judith E. Glaser, presents, “Conversational Intelligence.” Learn how Conversational Intelligence makes complex scientific material simple to understand and how to apply it through easy to use tools, examples and conversational practices. All employees are invited to join Employee and Organization Development at a live webcast from 10 to 11:30 a.m. Tuesday, June 12, in UU Room 216. A brief discussion will follow the webinar for those who are interested. Register here. Alternatively, the webinar can be viewed independently from your desktop computer or phone. Visit coconnect.calstate.edu/CGT to view the webinar as an individual. 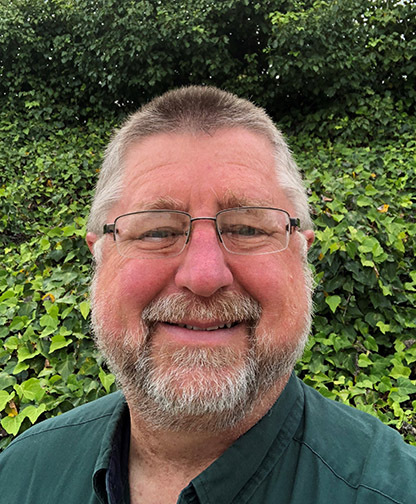 Galen Ricard, public affairs communications specialist in College of Engineering — Advancement, has qualified for catastrophic leave. Those wishing to donate leave credits to help her remain in full-pay status during an extended leave of absence should contact catastrophic leave coordinator Cara King at ext. 6-5374 or cking29@calpoly.edu to request a donation form. 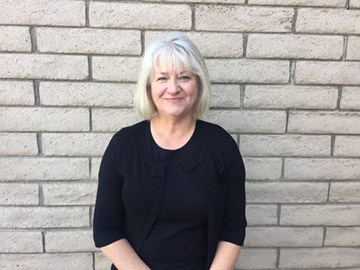 Pat Hermenegildo, administrative support coordinator in Admissions, Recruitment and Financial Aid — Financial Aid, has qualified for catastrophic leave. Those wishing to donate leave credits to help her remain in full-pay status during an extended leave of absence should contact catastrophic leave coordinator Linda Ortiz at ext. 6-1304 or lortiz01@calpoly.edu to request a donation form. Extended Education is offering a one-day workshop, "Write Your Way Around the World," from 9 a.m. to 1 p.m. Saturday, June 23. Freelancing from abroad may not be glamorous, but it is an adventure. 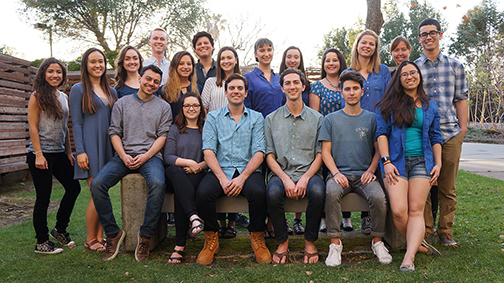 In this workshop, Cal Poly and UC Berkeley journalism instructor Katya Cengel will teach participants how to pitch an article to an editor, query an agent about a book, negotiate a contract with a publisher and more. Learn more about the instructor or enroll here. 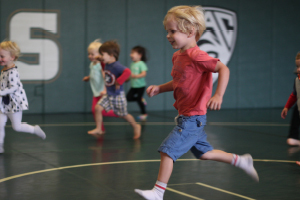 Bring the whole family to the Recreation Center this summer for Family Fun Days every Friday, Saturday and Sunday from June 22 to Sept. 2! 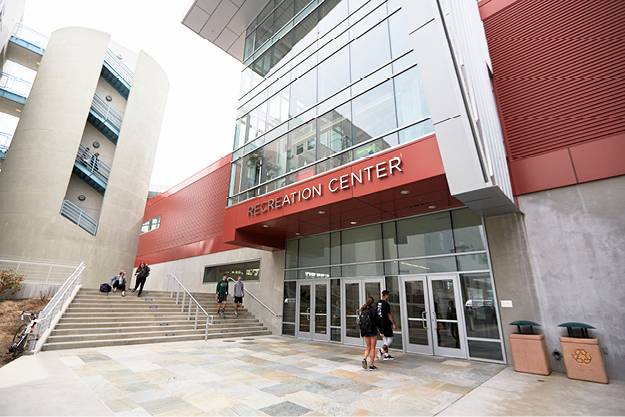 Enjoy the leisure pool, ASI Poly Escapes Climbing Park, sand volleyball courts, basketball courts and more. Sandcastle building, pool toys and lawn toys including hula hoops, paddle ball and bean bag toss will all be available. 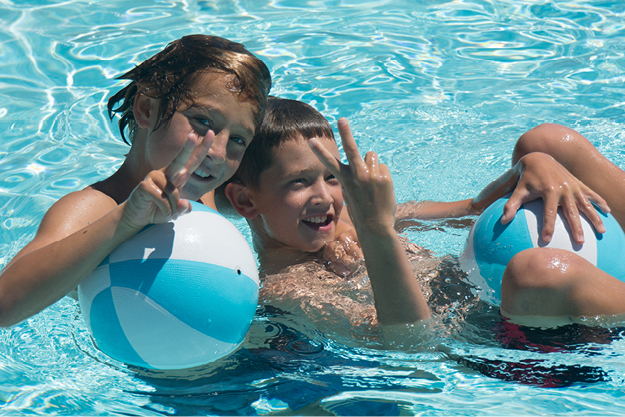 Recreation Center members may sponsor up to two adult guests and up to six children in accordance with a supervision ratio of two children per one adult. Entry fees are $5 for children up to 15 years old and $10 for adults. Water and small snack items are permitted. For more information, visit the Family Fun Days FAQ and Guest Prices and Guidelines pages or contact Membership Services at ext. 6-1366 or memberships@asi.calpoly.edu. 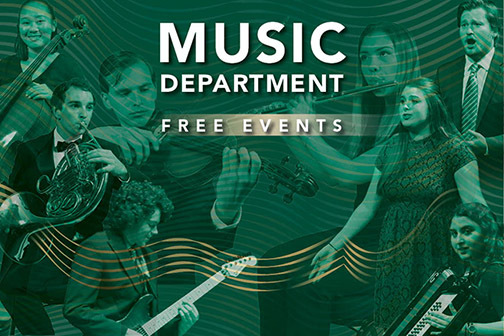 The Music Department is offering free student recitals through the rest of the academic year. At 6 p.m. Sunday, June 10, "Clarinetfest" will be in Room 218 of the Davidson Music Center (No. 45). 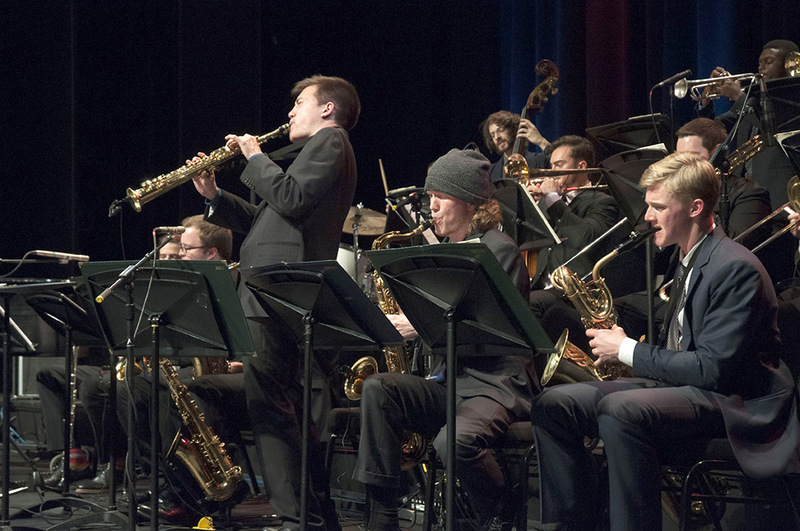 It will feature the Cal Poly Clarinet Ensemble and guest artists in both solo and ensemble performances. For the grand finale, all the musicians — up to 35 — will perform together. For more information and a complete event listing, visit the Music Department calendar website or call ext. 6-2406. #104916 — Library Administrative Services Assistant (Administrative Support Assistant II). Library Administrative Services. $2,600 to $4,328 per month. (Anticipated hiring range: $2,600 to $3,100 per month). Open until filled. #104903 — Instructional Support Technician III (Instructional Support Technician III). College of Science and Mathematics — Kinesiology and Public Health. $4,107 to $7,004 per month. (Anticipated hiring range: $5,000 to $5,600 per month). Open until filled. #104925 — IT Personnel Analyst (Administrative Analyst/Specialist — Exempt I). 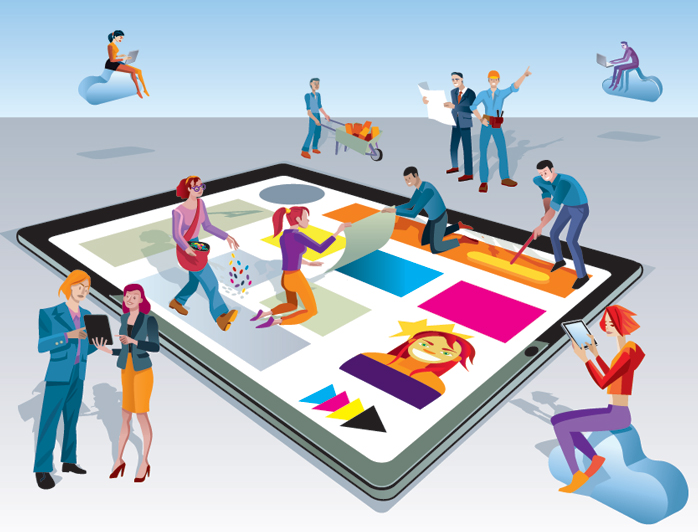 ITS — Customer and Technology Support. $3,897 to $6,647 per month. (Anticipated hiring range: $3,897 to $6,000 per month). Open until filled. #104927 — Academic Advisor (Student Services Professional II). Academic Programs and Planning — Mustang Success Center. $4,057 to $5,769 per month. (Anticipated hiring range: $4,057 to $4,300 per month). Open until filled. Research Associate, Kenneth N. Edwards Western Coatings Technology Center’s (WCTC), $38,937-$58,406 per year. Assistant Supervisor, Cal Poly Campus Dining, $12.21-$15.26 per hour. Unit Supervisor, Cal Poly Campus Dining, $16.23-$24.35 per hour. Holistic Resources Management Apprentice, Swanton Pacific Ranch, $13.73-$15 per hour. Assistant Supervisor, Starbucks, Campus Dining, $12.21-$15.26 per hour. Project Manager, Cal Poly Corporation Administration, $59,716-$75,000 per year.